* Put all the ingredients (except oil and breadcrumbs) in a bowl and mash them well. * Make 3 inches long croquettes out of the mashed ingredients. Roll them gently on a bed of breadcrumbs. 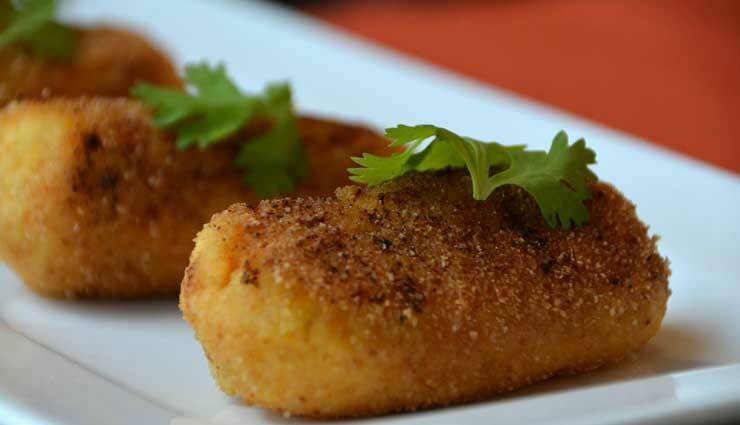 * Heat oil in a frying pan and fry until these croquettes are golden. * Serve with green sauce or tomato sauce.